Oh, you Millenials are such a cool generation. You have all this cool music. And attitude. And snarkiness. You’ve transcended meaning, caring and commitment. You’ve achieved utter apathy. Let’s go shoot shots. You and I know that we were blessed to achieve consciousness during the ‘60s and ‘70s. We patiently lived through people younger than us (that’s almost everyone now) waving Bic lighters for U2, Michael Jackson, Madonna, Brittney Spears, Taylor Swift and Eminem. We’d sneak a look at each other and roll our eyes heavenwards. Today we’re content to sit in our rockers on the front porch, corncob pipe in our mouths, watching the sun set and replaying in our minds The Beatles, Dylan, Paul Simon, Joni Mitchell, James Taylor, Stevie Wonder, Brian Wilson. We know on which side of the millennium our bread was buttered. My 16-year old granddaughter, on whom the sun rises and sets, recently told me that she spent an hour cleaning up her room (dayenu – miraculous enough in itself). She did it listening to a record tape cassette CD DoK YouTube Spotify link some music I gave her of James Taylor. My buddy Becca’s son makes electronica inspired by The Mamas and The Papas. My friend Mel teaches college courses on 60s rock. 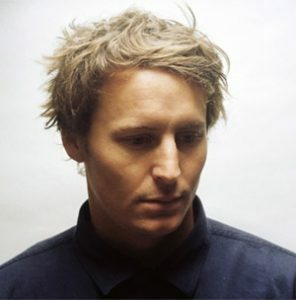 Ben Howard listens to John Martyn. Ben (b. 1987) grew up in the county of Devon, the southwestern tip of England, the surfing capitol of the UK (seriously) – listening to his mother’s record collection (she would read the second paragraph above), his musical landscape formed by the seminal artists mentioned there, as well as soulful acoustic singer-songwriters such as Van Morrison, Nick Drake, Richie Havens, Donovan, Al Stewart, and especially John Martyn. Remember John? Intense, evocative, poetic, drunk, pounding the acoustic guitar, shouting his passion and his pain? Well, this youngster Ben picked right up where John left off. Kind of. 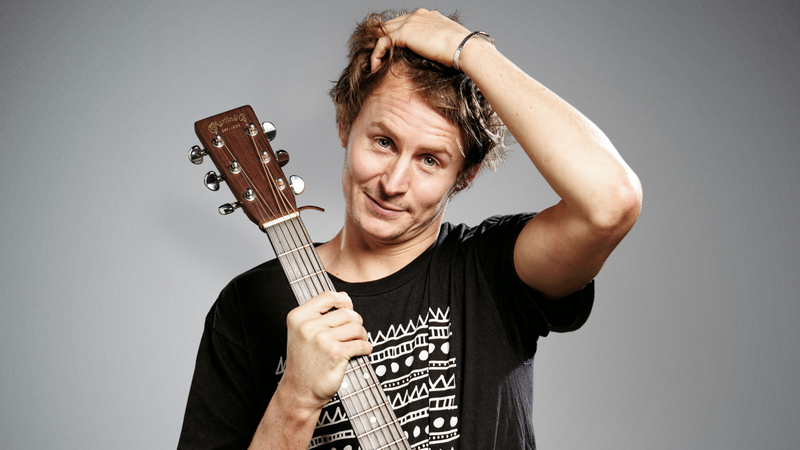 Ben spent his youth making up songs on a bunch of different instruments and surfing. Eventually he studied journalism, getting credit for working on a surf magazine (snicker). But in between studying/writing (snicker again) and catching waves, he’d sit on the beach and develop his intense, charismatic acoustic style, with lots of alternate tuning and percussive slapping and knocking, even holding the guitar in his lap. Hats off to Mr Martyn. It got so the fellow surfers urged him to stay on land and keep playing. Which turned into local gigs in the scene. Which grew into a cult following. Which turned into headlining gigs throughout Europe, a recording deal with a major company and a US tour. He’s recorded two hit LPs, a handful of EPs, lots of prizes and performances. A superstar, in Indie terms. His music is DIY incarnate – Ben on percussive acoustic guitar and vocals, a girl supplying cello, keyboards, ukulele, bass and vocals and percussion; a guy playing guitars, bass, double bass, drums, percussion, keyboards and accordion, another on drums. The songs are aimed at the heart and the gut – mantric, rhythmic, heartfelt, passionate, at their best even inspiring and uplifting. Think “Astral Weeks”, think Richie Havens. Think John Martyn. The boy’s got a voice, in both senses— a straining, expressive baritone; and a unique, distinct personality and sound. There’s nothing life-changing, but life can’t always be life-changing. Sometimes even I want to give my brain a rest. That doesn’t necessarily mean stupid. It can also mean music, going back to the basics of pure abstract affectiveness (a newly favorite work of mine). Arousing emotions, moods, even unspecified thoughts without weighing them down in denotative correlatives. Direct, unadulterated, unfettered feeling. Think Elton John. Does anyone begrudge him not being a life-changer? He makes intelligent, effective music, what Shakespeare called the “moody food/Of us that trade in love.” Moody food. Good one, Will. Ok, Ben Howard isn’t into breaking barriers. He’s into making music. A lot of barrierbreakers could use a refresher course in the cardinal rule of the implicit musician-listener contract: to affect us, to arouse emotion, to speak to us, to converse with us. Some of my best friends (and favorite artists these days) are Millenials. Maybe as a generation they don’t give a hoot about anything, but somehow they have enough of the milk of human passion to produce some fine young artists. Ones who just happen to have been suckled to the soundtrack of Mom’s old vinyls. Jacob Collier stands on Brian Wilson‘s shoulders, Justin Vernon covers Bonnie Raitt. Chefs of ‘moody food’. 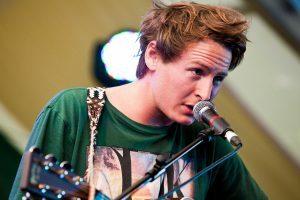 Now there’s a fine young man, that Ben Howard. Nice sotw, but I wasn’t terribly impressed with the music… repetitive and simplistic and in my opinion without any depth.